My Sparkling 25 – The artwork for the 25th Anniversary decorations released. 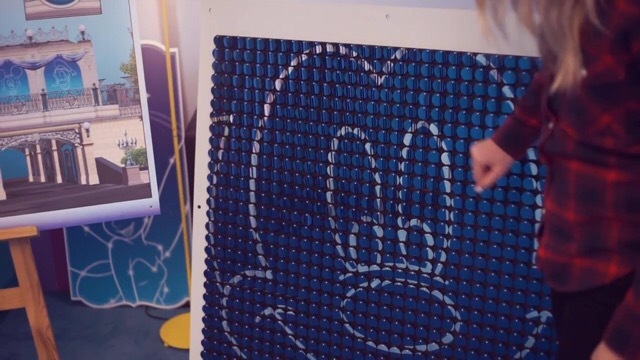 Disneyland Paris released the first part in a series of videos entitled ‘My Sparkling 25’ last week. 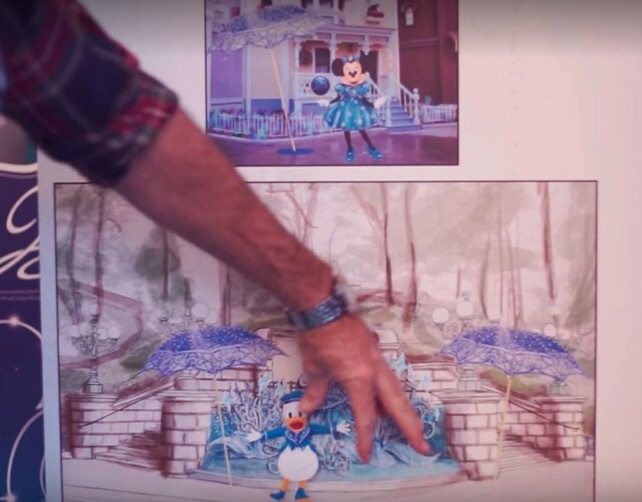 This new video series takes you behind the scenes of the 25th Anniversary Celebrations of the Disneyland Park. Every other Wednesday one of 25 French bloggers or You Tubers will discover the secrets of the resorts plans for 25th anniversary celebrations. In the first episode of My Sparkling 25, Margot, from the French blog youMAKEfashion, goes behind the scenes of this sparkling celebration and Margot reveals the secrets of what awaits us in 2017. 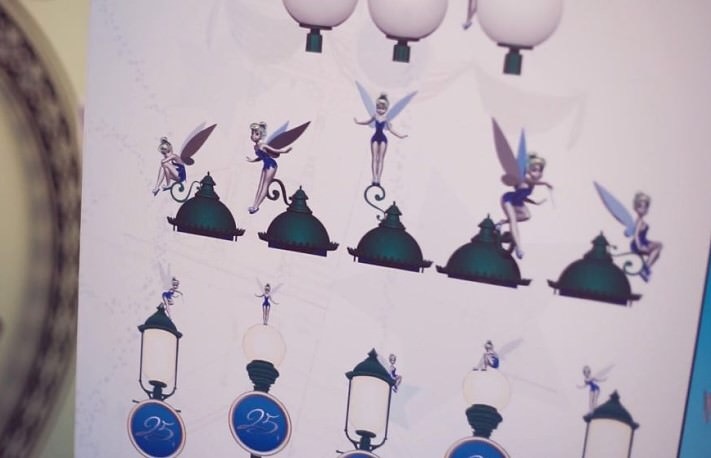 From the video we can see the decorations that are planned for Main Street Station and the street lamps along Main Street U.S.A. where Tinkerbell will feature very prominently on top of the lighting fixtures. 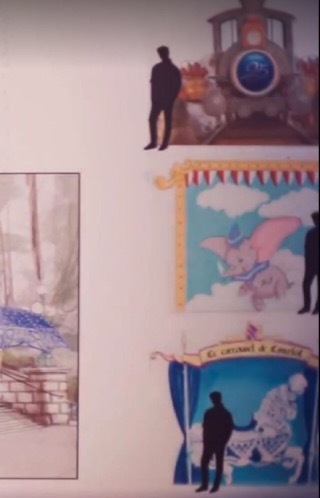 The video also reveals special 25th Anniversary photo locations at some of the iconic attractions in Fantasyland and artwork for the decorations for the character Meet ‘n’ Greet locations at the Boarding House and near Casey’s Corner. The artwork for the flowerbeds around Central Plaza in front of Le Château de la Belle au Bois Dormant is also show. The new look Mickey Mouse made an appearance at Disneyland Paris yesterday during a photo shoot in-front of the Sleeping Beauty Castle. These photos of the occasion were posted by Disney fan @omz_omz on twitter and shows Mickey in what appears to be a photo shoot for the 25th Anniversary Celebrations. A speaking version of the new look Mickey appears in the “Mickey and the Magician” show in the Walt Disney Studios Park. From 14 January to 26 March 2017, the Season of the Force is invading Walt Disney Studios Park. 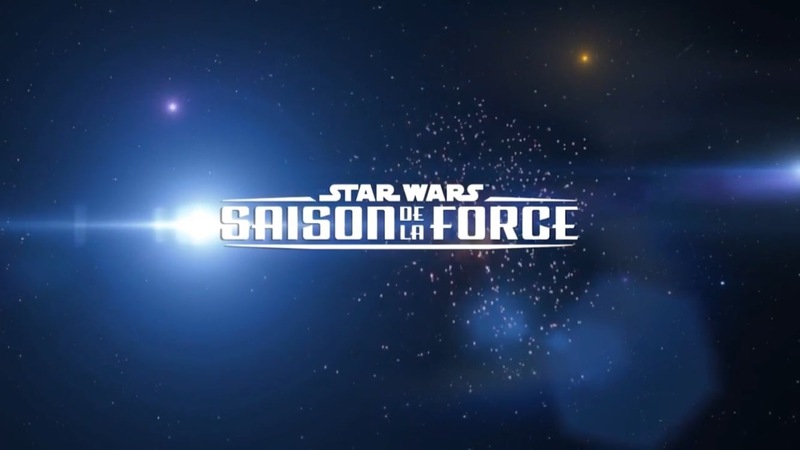 To celebrate, Disneyland Paris is kicking off its #FaceTheForce competition! 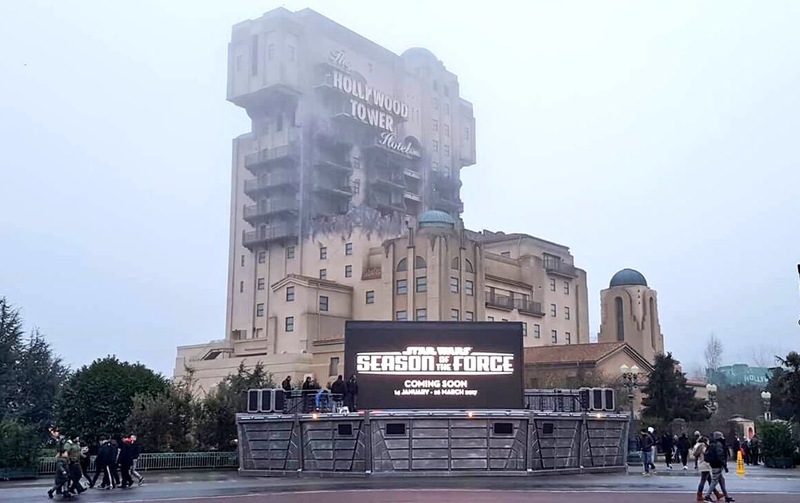 They will be asking guests to share photos from the Season of the Force on Instagram and Twitter using the hashtag #FaceTheForce and mentioning @disneylandparis. Guests could take photos during the March of the First Order, for example, or share snaps of interactions with Stormtroopers, to capture the moment! 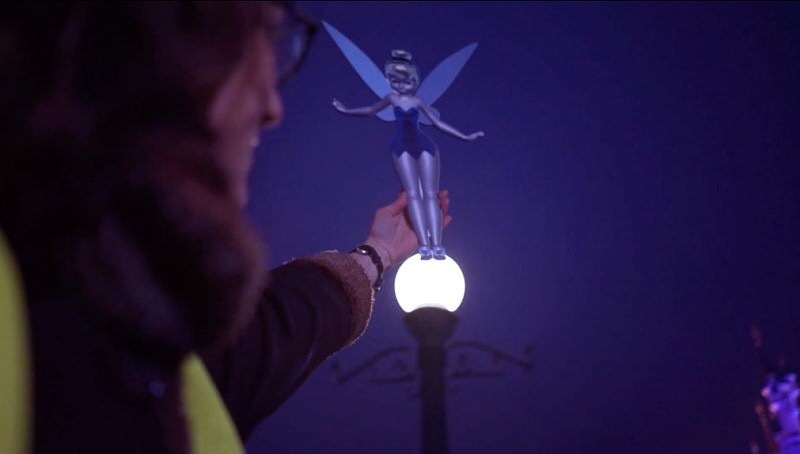 Participants might see their photo projected on a big screen opposite the Tower of Terror! So, strike a pose and share your Force, and don’t forget to mention #FaceTheForce and @disneylandparis !